A VOTE for Angel Messages is Awesome! Excitement is IN the air! The Cover Wars are in full swing!! 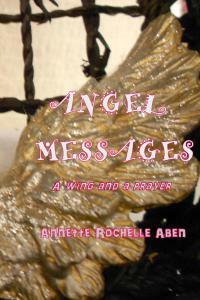 This week, the cover of my book, Angel Messages, a wing and a prayer is ready to receive VOTES. Here is the link, which you can visit EVERY 24 HOURS to VOTE. Of course, you can share it all over the place (gosh, how nice would that be) and we can take this one all the way to number ONE! The VOTING is OPEN from 8am EDT Sunday, June 19th until 8am EDT Sunday, June 26th. Thank you so much for helping me with this opportunity. You’re the best.